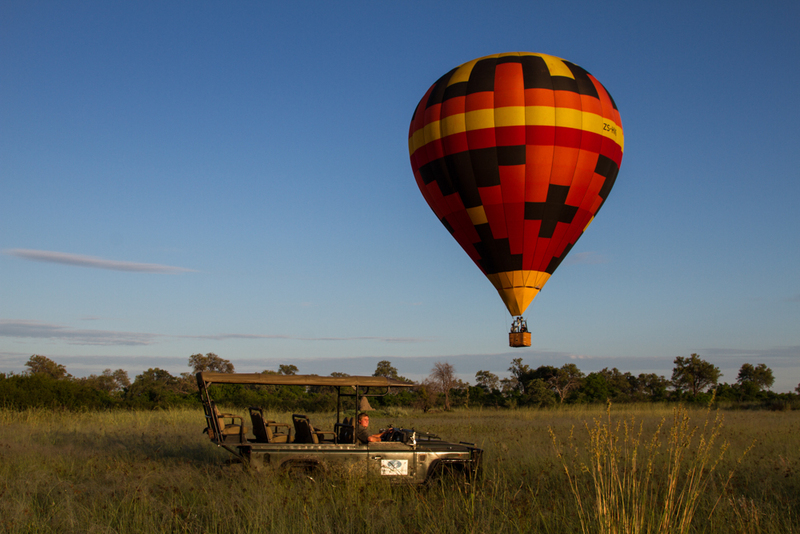 Liquid Giraffe is delighted to be offering a new balloon safari in the Okavango Delta, operated by Air Ventures! This started in mid-April. 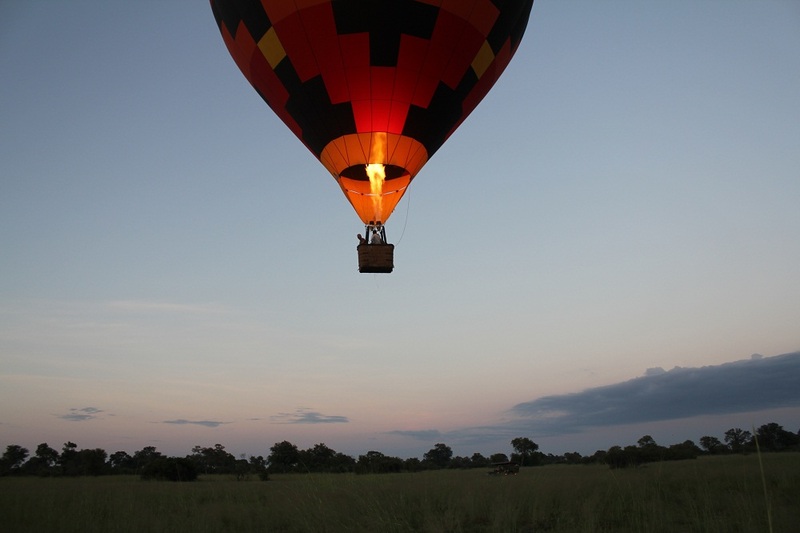 The balloon is launched from a designated site near Wilderness Safaris’ Vumbura Plains or Little Vumbura camps and is proving to be a ‘must do’ activity for our guests at either camp. The 45 minute balloon safari, with a champagne celebration and snacks on landing, is arranged as part of the morning game drive from either camp. In addition – and especially for those who want to really celebrate in style – guests can opt to take a one way or return transfer to the launch site by helicopter! The activities are available at a supplement to the accommodation at either Vumbura Camp or Little Vumbura Camp. And as the balloon only takes 4 passengers, this activity can be booked with only a minimum of 2 guests! Liquid Giraffe had 2 couples who booked a balloon safari as apart of their stay at Vumbura Plains at the beginning of May (the ballooning only operates between mid-April and the end of September). Here is what Dorothée and Olivier said about their experience: “It was fantastic!! We took off a bit later than planned as the wind wasn’t so good. Luckily, we were able to take off around 7am and the flight was beautiful. We saw animals running away from the balloon, the pilot was as nice as we can expect and even the balloon has so great colours matching very well in the bush”.